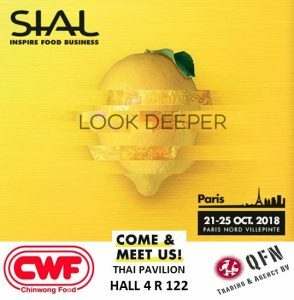 Meet us in SIAL Paris! Our team will be present in this year’s SIAL in Paris. We will be glad to meet you at the booth of our Thai partner, Chinwong. For meeting bookings, please contact us at sales@qfn.nl or simply drop by at the booth of CWF located in Thai pavilion, Hall 4 R 122.